VU is proud to have a certified Reading Rock Star in its midst! 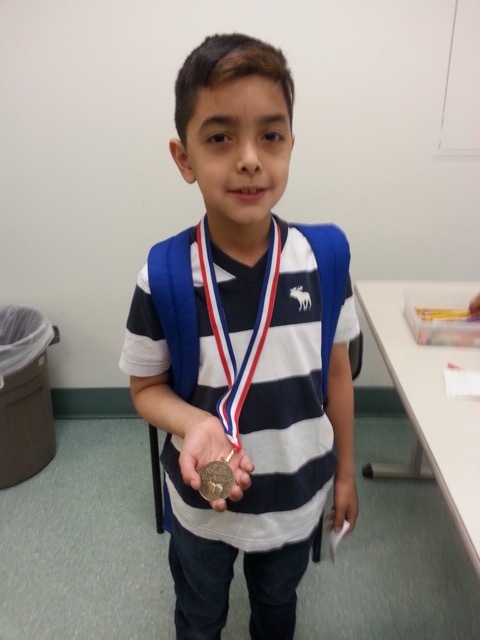 One of our second grade students, who has been coming to VU regularly all year, received a Reading Rock Start medal from his teacher for improvement in reading. He is so proud. His dad believes–and the volunteers do too–that VU played an important part in his success. We strive to have each child read aloud to a volunteer for 20 minutes every session, and it really does make a difference. This young man and many others have learned that working and practicing pays off. They have gained fluency, improved comprehension, and learned to love reading as much as we do!